A new study has found that children from "grow op" homes were healthy and drug-free, leading to questions about the practice of immediately removing such kids from their parents. The research from the Motherisk Program at Toronto's Hospital for Sick Children suggests the automatic seizure of kids from drug-producing parents can be more detrimental to the wellbeing of the children, said Gideon Koren, a University of Toronto professor and the program's director. "After examining 75 of the kids over several years, we came to very clear conclusions that a vast majority of these kids are doing well," Koren said. "Well fed, well kept, doing well in school and developing well." Koren said that the children often enjoyed the lifestyle benefits of having high-income parents — even though that income is made illegally, and that taking them away often does a lot of damage. "Taking a small child from his or her parents in a well-adapted environment causes fear, anxiety, confusion and sadness — everything that comes from separation," he said. When children are found in Greater Toronto Area homes identified as marijuana-growing operations or methamphetamine labs, the practice is usually to remove them, separating them from their parents and often placing them into foster care. The Hospital for Sick Children study examined 75 kids between 2006 and 2010 from Ontario's York Region, just north of Toronto. Patrick Lake, executive director of York Region Children's Aid Society, said that since 2006, child-welfare workers have learned more about the effects grow ops have on children and have changed how they maintain the children's safety. "We have developed a more customized and comprehensive process to determine best response, on a case-by-case basis, while looking for ways to safely maintain children with their parents or relatives," Lake said. The Hospital for Sick Children research was the first study done on the topic, and Koren said the findings mean authorities will now see these children differently. .
"When police and children's aid go into that situation, they have to look much more carefully on what happened to that child, and not blanket-wise moving kids out of their homes." 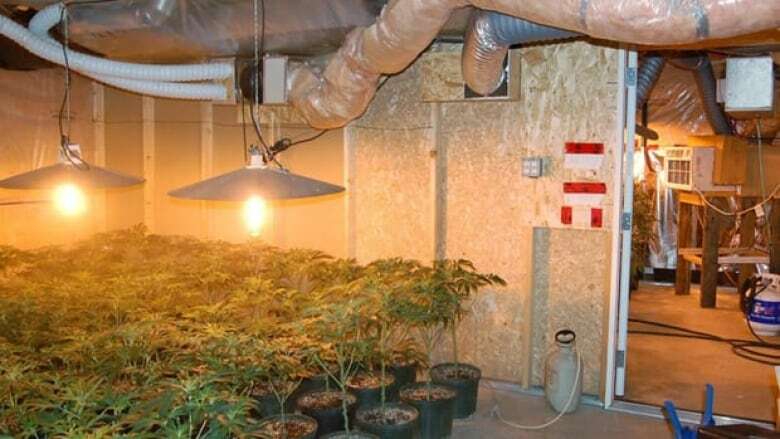 Eighty per cent of the homes studied were marijuana grow ops, where typically at worst children are exposed to plants. However, in the remaining homes — where crystal meth or other compound drugs were made — children could be exposed to dangerous chemicals and the risk of explosions. The study found that a third of the children had detectable amounts of drugs in their hair follicles and that some of them did not develop well, but that most had no symptoms from being exposed to the illicit substances. Hair follicle tests can be positive long after exposure to drugs and can indicate the environmental presence of drugs or chemicals used to make them. A positive test doesn't mean a child has been damaged by the drug. "In fact, the health problems found in this population were actually fewer than those in the general Canadian population," said a Hospital for Sick Children news release announcing the research. The study was published online Tuesday in the Journal of Pediatrics.